THE. ESSAYES OR COVNSELS. CIVILL AND MORALL. OF. FRANCIS BACON,. LO: VERVLAM,. VISCOVNT ST. ALBAN. 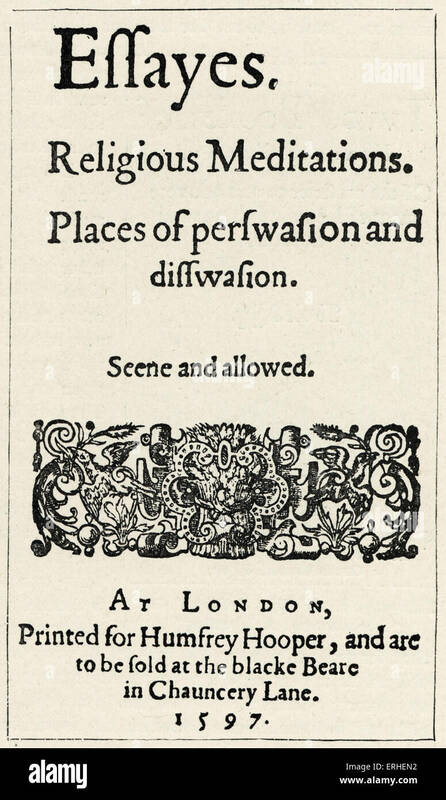 First published in 1597, Newly Written in 1625. The essays or Counsels, civil and moral of Francis Bacon [first published in 1597, and as he left them newly written and published in 1625] including also his Apophthegms, Elegant sentences and Wisdom of the ancients, with an introduction by Henry Morley.